Eat, drink, and be rosemary with this quintessential flavor that creates memorable matchings with lamb, pork, poultry, biscuits, eggs, and jams! Rosemary is a great plant for your kitchen herb garden. With its woody pine flavor, it add a flavor punch to anything you cook it with. And unlike a lot of fresh herbs, the flavor holds up when cooked for a long time. So it really excels at things like roasting, baking and soup making! Although it can be chopped, sometimes it’s nice just to throw in an entire sprig of rosemary in during cooking to impart all of the flavor, then remove just before serving. Sold at the peak of freshness. Our Rosemary is grown and sold to be used right away for the best flavor. Triple the amount you would use for dry herbs and add just before serving. 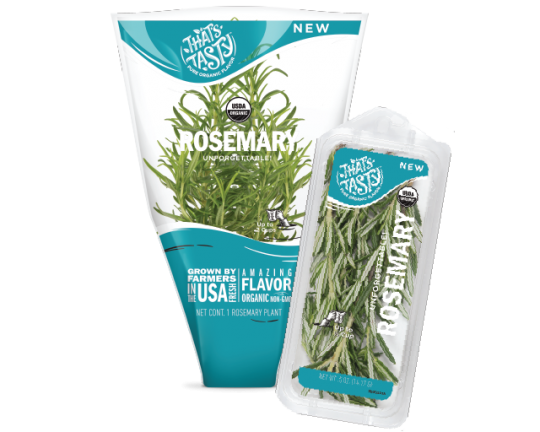 Rosemary is happiest inside its package, hanging out in your refrigerator drawer. Have extra rosemary? No problem. Try these fresh ideas for how to use it quickly. Freeze rosemary leaves in ice cube trays with a little olive oil. These little favor bombs are perfect to quickly add flavor to a roast, chicken or vegetables. Just drop one in the pan before you roast or cook in the crockpot. It’s also great to use as a marinade. 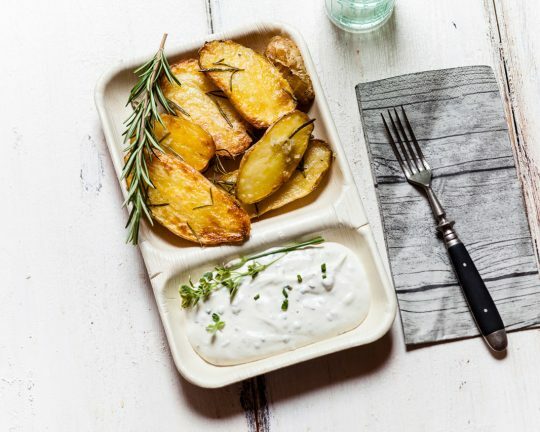 Whip up this easy herb butter. Press a few garlic cloves through a garlic press into a glass bowl. Add a stick of softened butter and chopped rosemary. Mix them thoroughly. Add a pinch of Kosher salt to taste. Make an infused olive oil. First strip the rosemary leaves off of the stem buy running your fingers “against the grain” down the stem. Place the leaves in a sterilized mason jar and top with a quality olive oil. Cover the herb by at least 1-2″ of oil. Place oil in sun and let infuse for 4-6 weeks. It’s great if you can shake the herbs in oil daily during this time. Then strain the herbs and place in a clean sterilized jar for use in salad dressing, in a marinade, dipping oil… the possibilities are endless!